Thanks for visiting the Trilogy Learning Zone. You can collect your downloads below! Discover the five most common reasons most Australians don’t get past their first investment property… and effective ways to overcome them. 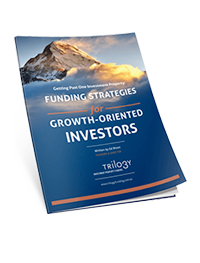 Discover how to overcome bank lending thresholds, access new streams of finance, and rapidly grow your portfolio (…especially if you have more than $1.5 million in loans). 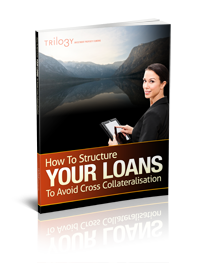 This resource explains how to structure your new or existing loans so you retain maximum control over your assets. 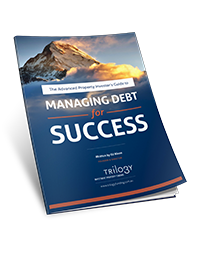 This resource explains how to establish the amount you can afford to borrow, before the added expense of Lender’s Mortgage Insurance kicks in. 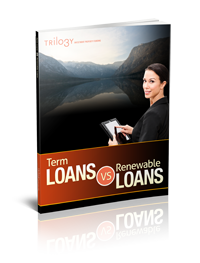 This resource explains important fundamentals of loan structure and financing. This resource explains the role of the buyers agent, from searching for and evaluating property to negotiating the transaction for clients and bidding at auction. This document explains how ‘deposit under lien’ is a powerful loan structuring strategy for freeing up security and keeping more in your hands. We’ve put together a list of businesses that we personally recommend. I suppose the banks are looking for, you know, “if I take this property on a security, how quick can I sell it if you don’t make the payments for me?” Is it a block of nine units in a rural village where it’s the only one? The bank’s going to have a hell of a job trying to sell that property in the future if that’s to foreclose on you. Or is it like a service station? Now the banks will loan against service stations. They’ll loan against hotels, car parks, caravan parks, all those different types of collateral that’s out there, that investors all buy. But what they’ll do is, if the risk is high, they’ll say to the borrower, “You carry more of the risk.” In other words, you put more of a deposit in. Typically most borrowers will go in, they’ll put in the 20% and the five percent closing costs. And the bank will loan them the 80%, and your twenty percent is the bit that fluctuates in the value, of course, not the bank’s 80. But the bank might say, “Look you’re buying something that, though we specialize in it, we want you to carry more risk.” So they might only fund 60% against it. That doesn’t mean you still can’t get 100% finance because you can do that with other security somewhere else. But the bank just wants to make sure if you don’t pay, they can move there security quite easily. Refinancing is pretty tough these days, isn’t it? We’ve got a few things that we’ll pull up as a graphic there. It’s not as easy as it was. So let’s go back a few years. Describe what it was like to borrow money before. It was pretty fluid, it was easy to get, it was everywhere, there was second, third tier, fourth tier lenders just popping up all over the place. Mortgage managers were getting money, it was pretty easy lending it out. Back then you could get asset lending, that was pretty easy to get. Basically asset lending is where they’re actually lending on the asset value rather than on the serviceability. Absolutely right, show me your driver’s license and a heartbeat and you pretty much have money against the property. In hindsight it wasn’t sensible lending. 105% lending was available, I’d even heard of lenders doing 110%. 95% was pretty easy to get for refinances. 80% available for asset lending. 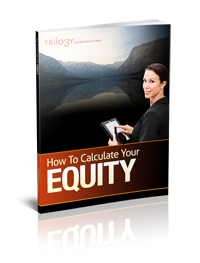 You could be retired and have no income and get asset lending of 80%. That’s not sensible lending, and you didn’t need much explanation for what the money was going to be used for. If you said want to go buy some shares or $100,000 for shares or I want to do some finishing on the house or whatever, that was fine, they would just give you the money. It’s all changed. Now you need to justify a little bit further. Yes, a lot of lenders have streamlined their approval processes and they’re going to computer based models, I think so they don’t get favoritism with lending staff and bank staff, so credit scoring is really coming into play . Also 95% for purchases pretty much restricted to principal and interest and pretty much for owner occupies only, it is difficult to get for investors these days. 90% for refinances you can still get that, some are only doing 88%, taking the mortgage insurance out. 80% asset lending, forget it it’s gone. I can’t see it coming back in my lifetime. For cash-out now you really need to have a good story. Sometimes you even need stacked decks, letters from financial planners and from accountants. There are still ways to get the cash out but you need to justify more, you can’t just say for future investment purposes, especially if you don’t have investment properties, if it’s your first one. But it also comes back to the character on the application that we’re presenting to the bank. If we’ve got a borrower who’s got 5 or 6 properties their statement of position shows that they’re a responsible borrower. They typically don’t have car loans and they typically don’t have credit cards with unsavory balances on them. You can show on the application that you are an investor and that you know what you’re doing with money. So you’ll still get the money, and that’s OK. It’s only when you’re asking for it when it’s a little bit questionable. Now we’ve got a caller on the line. We’ve got Graham, from Doonside. Welcome to the show there, Graham. Thanks, Chris. Hi. How are you getting along? Great. This afternoon I was declined by my credit union for a loan. I do casual teaching, I earned $43,000 last year, and I’ve got an investment property and I rent out my own house. I want to put a granny flat in, and I want a loan to re-finance two properties and put the granny flat in, and I was declined. Where do I go? Good question, Graham. How long have you been casual teaching for? Okay. It’s fair and reasonable to expect that. Your income is typically, what? $43,000 per year, year in, year out? Plus or minus a little bit? Yes. They claim that because I cannot get assurance by the Department of Education of employment, that they won’t accept the loan. Yeah. I think you’d find all the four majors would accept that application pretty easily, and probably the pick of the lenders would be CBA on that. CBA, or National Australia Bank, is still doing proactive lending, so they’re not actually credit scoring you so much, and they’ll actually look at your application. They might ask for some verification over and above your pay stub. They might say, “Look, Graham. Can you give me your notice assessment for last year?” Sorry, for ’09. Maybe your tax returns, and also actually you’re better off to give them your tax returns, because it will show a better income. And maybe your group certificate for 2010. But if you wanted to strengthen your application even further, give them your 2008 tax returns as well. Yes. I’ve got all those. You can show the consistency of income flowing in. And then it’s just a normal application. I mean, you’re a professional teacher. Graham, do you bank anywhere else other than the credit union?. Yes. I’ve got an account with AMP. I’ve got a loan with ANZ, and a loan with Macquarie Mortgage. Okay. I’d probably head along to the AMP. They’ve got some form on you. They’ve got your everyday account, or credit card, or something there. I think it’d be a good place to start. Now, we’ll jump to an e-mail that’s just come through. Anne Lynn [SP] writes: “What’s your view on whether to take a loan as a line of credit or as a loan with offset?” Ed, what are your thoughts on that? I think a lot of people take lines of credit for the wrong reasons. Do you want to just explain exactly what a line of credit is? A line of credit is what we call an “evergreen loan.” So there’s actually no term on the loan, so they run basically indefinitely. But there’s a clause aside on all line of credit contracts. It says the loan is actually repayable on demand. So anytime the bank can drop the limit, a business overdraft for example, or request a loan to be paid in full. So it’s not actually a term loan, whereas a typical home loan, which is a standard 30-year principal interest loan or say 10 years interest-only, 20 years P&I, is what we call a term loan, has a set term which runs for and is non-reviewable. So the bank will basically set and forget and leave you with it. So to answer Lynn’s question, you know, you’re better off with a line of credit or an offset. I think you’re better off with a term loan. You can put an offset against it. She can also get some pretty good facilities these days which actually allow for interest capitalization, even though it’s still a term loan with some of the majors. Westpac is one of those banks that offers that and will go interest-only for 10 years. St. George, 15 years. So when the bank’s being out to review it, that’s a bit like an overdraft facility, isn’t it? That they review every single year. So going into, say, tough times, property values are falling. That may be the time to then take a chunk out and actually fix it. Well, not actually fix the interest rate, but fix the amount so you’ve got a special term loan. Rather than, maybe in the good times, then having that kind of, free cash is easy because the banker is unlikely to come back. See, that’s one of the problems with a term loan, is that, sorry, with a line of credit, is you can’t fix the loan around. In fact, you have to file your loan application back into the bank. So if you want to fix it or change it to P&I or to a term loan to file your loan application. Now, your circumstances might have changed. You may have started a family, you may have bought two or three other properties and your service ability may be fading with that particular lender. The line of credit might be in conjunction with another fixed loan to the side and you can’t do anything with it. You could be stuck with the product. This is Sky News. Australia’s business channel. Tonight we’re joined by Ed Nixon, Trilogy Investment Property Funding, and David James, managing director of Herron Todd White in Canberra. Ed, you’ve been on before, could you quickly explain what you do as well? Basically I run a mortgage broker firm in Canberra. We specialise in clients that have two to three plus IP’s, investment properties. That’s the primary core of our business, and we have clients pretty much spread all over the countryside. So, not just Canberra based, we’re actually all over the eastern seaboard. So, even though Ed is from Canberra, whatever your finance question, give him a call, anything to do with taking out your equity, and to get your mortgage and anything to do with mortgage or anything to do with finance, then give us a call. Now, Ed, mortgage brokers and valuers, what is your opinion, I noticed you were nodding when I was saying that David might be, or valuers in general are conservative, what are your thoughts? I think generally speaking valuers are pretty close to the mark. I mean it’s there in the industry, I work in it all time. The bank system, from my understanding, David, that they want some comparable sales, something around about the same price, something a little higher, something a little bit lower, and inside preferably 60 days. Yeah. So, if it’s a medium style property, where there’s a lot of transactions, the opportunity of the valuers are right on the money over that time, in comparison to the owners expectation. Sometimes you might get an overzealous owner that thinks their property worth a little bit more. Now Ed, you’ve come up with a few tips on things that people can do, not necessarily to guarantee that they’re going to get a better value, but it’s certainly going to help, isn’t it? They’re not black and white. We’ll put it up on the screen here. But I do know that if you can present a property in the best possible light to a valuer it’s going to get the best possible valuation. So, there’s a couple things I thought of, like fresh paint and carpet. If you need to get the best valuation, if the paints fresh, the carpet and paint definitely help. Get your tenants on site, bring your property manager, or if you’re self managing give them a call. Just let them know that I’m just getting the property valued, I’m not selling the property, we’re just getting valued for bank purposes. You can tell them you’re changing banks, and they might get rid of their big dog! Provide some comparable sales, give them an idea what the property is actually worth, get together some sales, just so you’re not talking about pie in the sky figures, if you’re going to meet the valuer on site, probably give them some space. Stay out of their face, if you’re a little bit of an overzealous type person, probably just let them do their job. I think sometimes, some owners might be better off just leaving the keys in the power box and tell them where it is; because I’ve heard of clients just confronting the valuer with war and peace, and I just don’t think it works. The valuers are human as well, so, what I think you should probably do on your loan application is if you think the property is worth $400,000, put $420,000 on it, because a copy of your, not so much your application, but the owners expectation actually goes through the valuation company. So if the valuer gets it and says owners expectation is $420,000, and he sees the place is only worth $410,000 he’ll write $410,000 on it; but if you write $400,000 on it and the valuer says it’s going to be worth $405,000 or $410,000, he’s only going to write $400,000. A lot of people are talking at the moment, that it is pretty tough to get financed, and you’ve come along with a little graphic that we’ll put up calling it the Four C’s of credit. Just kind of take us through that and explain what it means. Okay, we’ve got Character, Capacity, Capital and Collateral, say that fast. These are the four C’s that every lender pretty much works with when they’re assessing a loan application. So character is who’s borrowing the money, who’s going to honor the debt. What is the identity? Is it an individual, is it a trust, is it a company, and what sort of form can they get on that person through their credit file.The next one we’ve got there is capacity, that’s pretty straight forward. Can you afford to make the payments on the loan? Banks are only interested in historical income, so that’s why they ask for pay slips, why they ask for two years of tax returns for those who are self-employed. Today, I suppose with the new regulation out, responsible lending capacity is a really big thing. Those were something we could override in the past, with such things as [low docks] and [no docks]. That’s pretty much fading into the sunset now.Capital, that’s the next one. That’s deposit, how much deposit are you putting into the transaction; also called hurt money or skin in the deal. Are you looking for 100% finance or are you only looking for 60%? Where did the money come from? Was it borrowed, was it a non-refundable gift from your folks? Is it second property used for security, tell us more about the capital. Was it saved the old-fashioned way, week-in, week-out and you can show more than 12 months worth of consistent savings. So, capital is important to a lender. The last one, which is where David comes into it, is collateral. The bank wants to know what are they taking as security. Are they getting a service station, which could potentially have environmental issues as security? Or, are they getting a medium style house in a large capital city? What are they getting as security? That then, comes from the LVR’s, your loan to value ratios, all fluctuate around the collateral. So, you put all those four together and out the other end comes a decision on your loan application. If you’re weak in any one of those, typically you need to present it with extra cash. More deposit or more capital into the deal will generally override most of the decisions. Yep. So, certainly with those four, then there’s going to be a lot of changes between the various different banks, as to the kind of people they’re after or the kind of security they’re comfortable with; which is why there’s so many banks out there, and why you need to be across pretty much all of those. Every bank is a different type of risk. Some like to do the old mom and dad home loans, some like to do development style finance. So they all have an appetite for different types of risk. This is another good reason to go to a broker, because if your circumstances have changed and you go back to the bank and your salary has decreased or their interest rates are higher, so they’re assessing your worth, they might then pull that facility, because they’ve certainly told them. Whereas, if you tell that to a broker, then that broker can be the man in between to actually be a warning system, in a way. Let’s just say, I’ve got a $500,000 property, I can get 80 percent finance, so I borrowed $400,000, and I want to spend 100.000 to build up another level or something. The builder will mostly want money kind of piecemeal through the contract. Will the bank say, well, your property should be worth six or 650 afterwards. Will they lend me the money as I go along, or do I have to find the money myself and then basically refinance afterwards? OK. They’ll do what’s typically called progress payments, so they’ll pay the builder as per schedule. Most builders typically want about five payments, depends on how their cash flow is running I suppose, I’ve seen as high as 12 depending on the cash flow. How the bank will typically valued is usually the value of the property as it stands today plus the cost of the constructions. So if the property is worth say 500,000 today, you’re adding $100,000 on top of it. Typically I see the valuations come back at sort of $600,000, then the bank will fund against the $600,000. The property could well be worth seven, 750 when it’s finished. Now pre-GFC, it wasn’t too difficult to go get them valued on end completion and then you could lend against that, but today, it’s very difficult to try and get a bank to lend on end, actually I haven’t had any success with it the last six months.